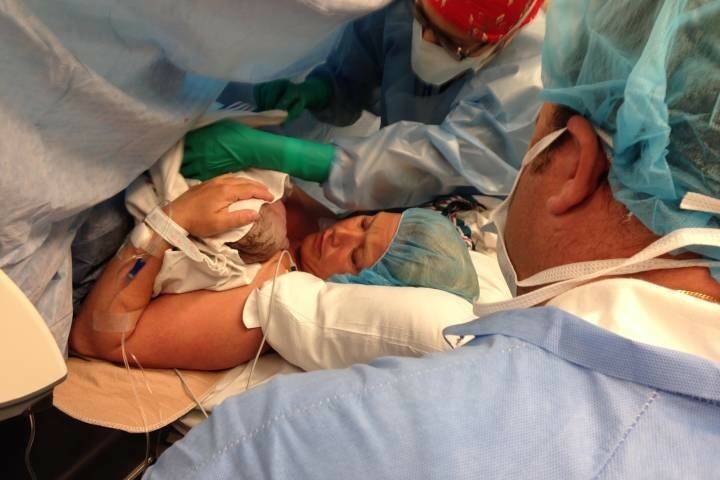 A C-section is scary for many new moms. It’s major surgery and it may not have been part of their birth plan. We spoke to moms in the mom.life app about their post-cesarean experiences. Some described easy recoveries, while others are still feeling pain months later. But all agreed that having a C-section does not make you any less of a mom! Here are 23 tips to help you survive postpartum after a C-section, especially those first few days when you come home from the hospital. “Honestly the girdle is a lifesaver and of course Motrin. But for me it is self-motivation to want to get better. Plenty of water and pillows. “If you have family that can take time off to help ask them. I had a c-section, take all your meds and don't be afraid to ask for more if you need it. HEATING PAD. HEATING PAD. HEATING PAD. Find moms who get it. Chat, vent, brag, laugh, cry. Download the free mom.life app now. Need more postpartum tips? Connect with moms who’ve gone through the same. Chat, laugh, vent, share. Download the free mom.life app now.